This week, we will have one blog post by each of this year’s Google Summer of Code students presenting their project and themselves. Jinlong follows Kahlid and Patrick. Trajectory analysis has a wide range of applications in various fields such as geoscience and social science. Use cases span across mobile phone users (see image below) e.g. for commuting analysis, ship and flight paths or animal tracking. With the avalanche of GPS-annotated data in the past few years capturing such data became much easier, so today there is a need for tools that are specifically tailored for analyzing large-scale trajectory data (example). 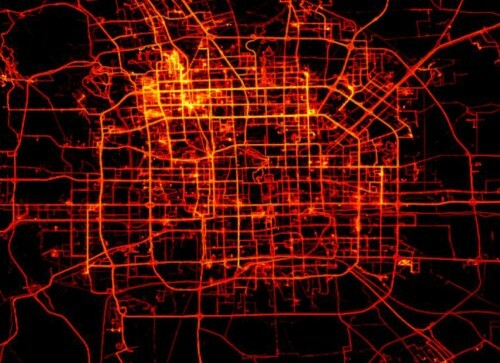 Trajectory data collected from mobile phone users in Beijing. Credit: Microsoft Research. R, as a software environment for statistical computing and graphics, has been favored by researchers from various disciplines for its free access, rich statistical methods, and easy-to-share features. However, the classes and methods specifically developed for trajectory analysis are limited and domain-orientated in R. This project intends to address this issue by implementing and improving generic classes and methods for trajectory analysis. To make good use of existing resources in R, the classes to be developed in this project will heavily depend on the sp and spacetime packages. Similarly, methods from sp and spacetime will be used to develop methods for this project. The methods for trajectory analysis can be categorizes into two main types – manipulation methods and analysis methods. Manipulation methods will include selection, aggregation, sampling, interpolation and visualization. Analysis methods will include computation of attributes (speed, direction), computation of distances between trajectories, and interpolation. Furthermore, to address the challenge of big data, these methods will be optimized for efficiency. About me: My name is Jinlong Yang. I am a graduate student in GIScience at Penn State University, USA. Over the next three months, the schedule and progress report for this project will be updated on the project Wiki page as well as on my twitter, and the package will be managed on R-Forge. Dr Edzer Pebesma and Daniel Nüst from Institute for Geoinformatics, University of Muenster, will serve as mentors on this project. 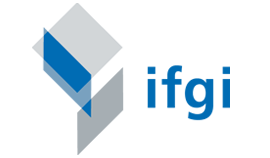 As the expected outcome, the classes and methods will be integrated into the spacetime package and be ready to submit to The Comprehensive R Archive Network (CRAN). Please feel free to contact me at jinlong@psu.edu if you have any questions.